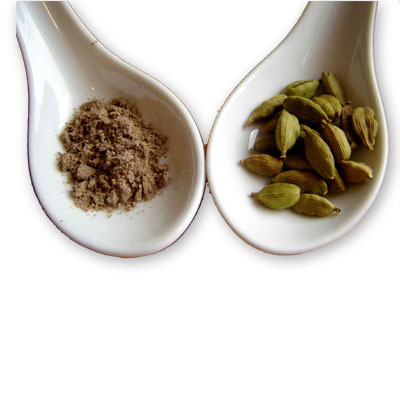 Cardamom has a lovely sweet, warm aroma and flavor with a lemony layer and a eucalyptus-like kick. Used extensively in both Scandinavian and Indian cuisine, cardamom plays a starring role in both sweet and savory dishes. Indian cooking features cardamom in curries, garam masala, kulfi (Indian ice cream) and milk puddings. In Scandinavian cuisine, you'll find cardamom in everything from pickles and herring to sweet cakes and Aquavit. The cardamom-infused coffee gahwa is a symbol of Arab hospitality.